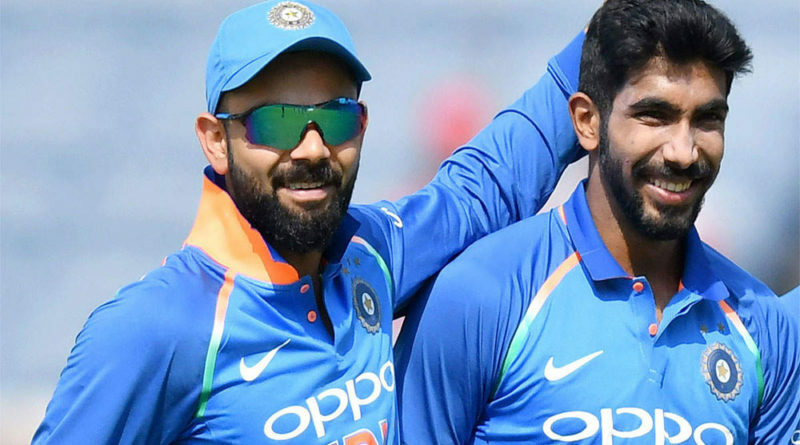 AHEAD of the World Cup for Men’s ODI in England, India’s skipper Virat Kohli retains number one spot after scoring 310 in the recently-concluded home series against Australia while his deputy Rohit Sharma hit 202 runs to maintain the No.2 spot in the batting chart.Kedar Jadhav’s all-round effort has helped him move up 11 places to a career-best 24th after the five-match series, which India lost 2-3.Meanwhile, South Africa opener Quinton de Kock has grabbed fourth position among batsmen after playing a huge part in his team’s 5-0 victory over Sri Lanka in a home series that ended in Cape Town on Saturday. 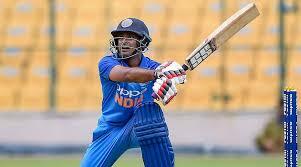 The 26-year-old left-handed wicketkeeper-batsman’s 353 runs in the series, which included a century and three half-centuries, has helped him win the player of the series award and gain four slots in the rankings. New Zealand’s Ross Taylor has maintained the number three spot. 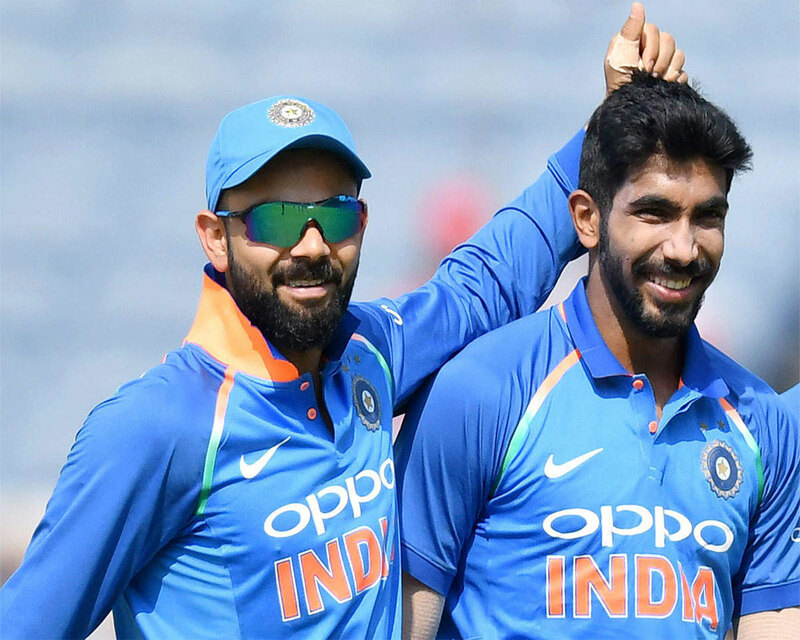 In the bowlers list, Bumrah is sitting at the top with 774 points. Dubai based International Cricket Council has also announced that New Zealand’s fast bowler Trent Boult has moved to second after finishing with six wickets against Bangladesh, pushing Afghanistan’s Rashid Khan to No.3, while South Africa leg-spinner Imran Tahir has gained seven slots to reach fourth place after taking nine wickets against Sri Lanka. The all-rounders’ table continued to be headed by Rashid Khan. However, no Indian figures in the top-5.In the ODI team rankings, England and India are at the top two positions. New Zealand has narrowly edged past South Africa to third spot while Australia has gone past Pakistan to fifth place. Meanwhile, NEWS 18 reports that with the 12th Indian Premier League (IPL) commencing in a few days Padma Shri recipient and former Indian cricketer Gautam Gambhir believes that Virat Kohli should thank Royal Challengers Bangalore for sticking with him despite the poor results the franchise has shown in the star-studded tournament. Gambhir, who recently appeared on Star Sports’ analysis show Game Plan said that one shouldn’t compare Kohli’s captaincy to Rohit Sharma’s (Mumbai Indians) or Mahendra Singh Dhoni’s (Chennai Super Kings) as they have won three titles each so far, while RCB hasn’t won a single tournament under Kohli’s leadership since 2011.